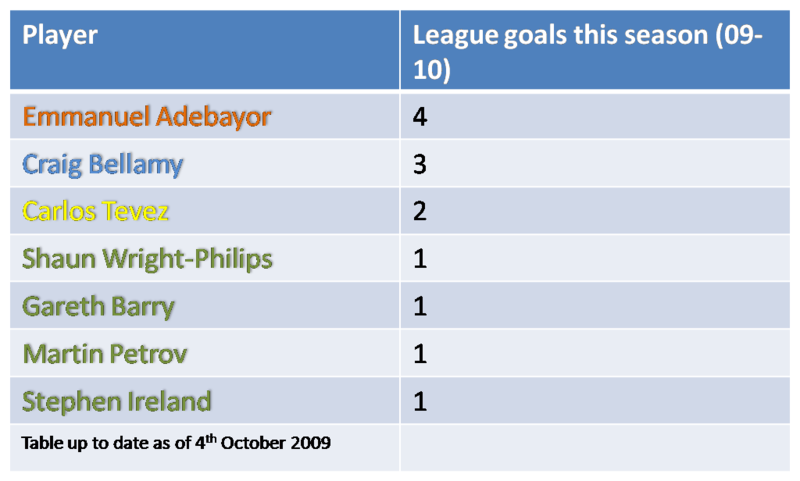 Manchester City is a football club currently playing in the English Premierleague. They are based in Manchester and play at the City of Manchester Stadium.The football club was founded in 1880 and was origionally named as St Mark's, it was not until 1894 that the club was named Manchester City, the name which the club has carried since then. Although they are seen as a club with lots of history and tradition, in the past 30 years the club has won no significant awards or silver ware. In more recent times, the club has had people such as the well known Sven Goran-Eriksson, former Thai Prime Minister Thaksin Shinawatra and world super star Robinho involved with the club, and since the recent Abu Dhabi take over the club looks like one to watch in the not so distant future. 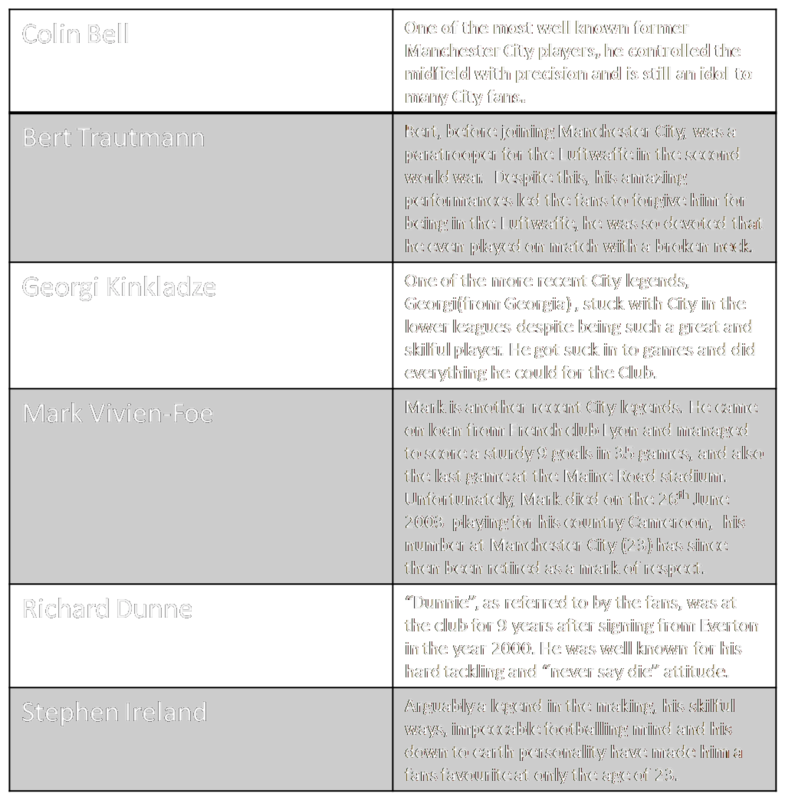 Throughout the past century, Manchester City have had many "fans favorite" players and "legends". These players generally have either been with the club for a long time, have taken part in somthing significant in the clubs history or are classed as "word super stars".